allergies to the morning, they stayed in Merida last night. award our Golden Paintbrush Awards (GPA). hydrated on a regular basis and was always watching out for us all. work completed by the team. humidity, and lots of rain. string was used to get the job done. absorbed the cost of that work for the school. coats of paint, as we covered a deep, dark red wall with white paint. the room a look of being totally new. all the windows in the office made for a difficult work environment. roof, but we think the situation is corrected. competitors) and Cat had the fourth highest score! found vinyl mop board to put at the bottom of the walls we painted. working on the windows so they wouldn't breath int he vapors. glue vapors had no impact on her. house. Rosie had it all hanging without the use of a single clothes pin. Dell laptop with the latest microprocessor for Solyluna. exposing anyone to the flu epidemic. relaxing and fun. Well, that was not in the cards for this group. replace broken or missing window panes. are sold to help defray the costs of the school. of work this week for the benefit of Solyluna! looked at me as if I was crazy. new toy purchased at Home Depot yesterday. typical local manner with corn tortillas and rice. It was delicious! hope they would be intrested in a side job. Sure enough, they were. Francisco came over and patched the hole with cement. Attached are before and after photos of the building. Caesar salad from Costco, everyone called it an early night. Hats off to the team for accomplishing so much in a day and a half! scraping the walls that needed a coat of paint. to-do list for today, we were getting one whether or not we wanted it. immensely, and we then got back to work. local Home Depot to purchase a week wacker for Solyluna. not work and instead rest up for a very busy week. 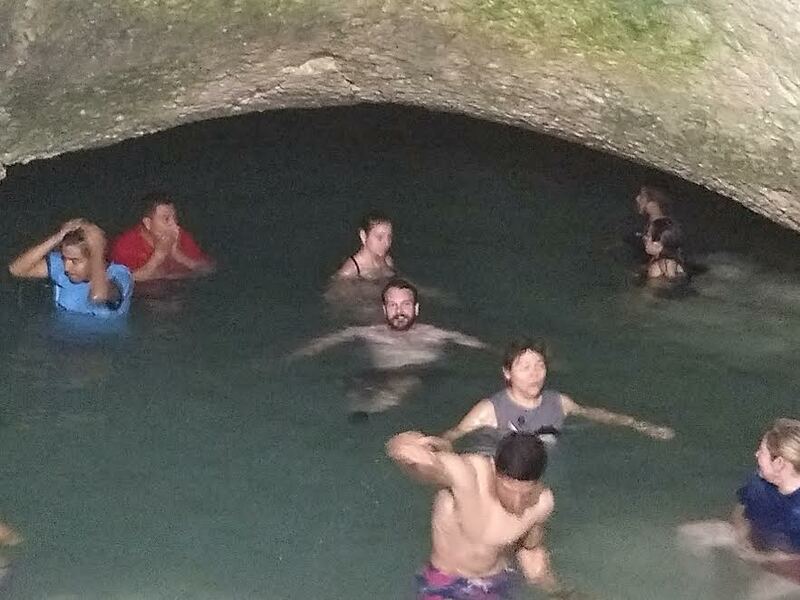 an underground cave that is filled with fresh spring water (a "cenote"). how to safely enter and exit the water. The team divided up and some prepared our first meal in the house. for a lot of hard work in a very hot and humid environment. since they were relying on me to drive them around Merida. 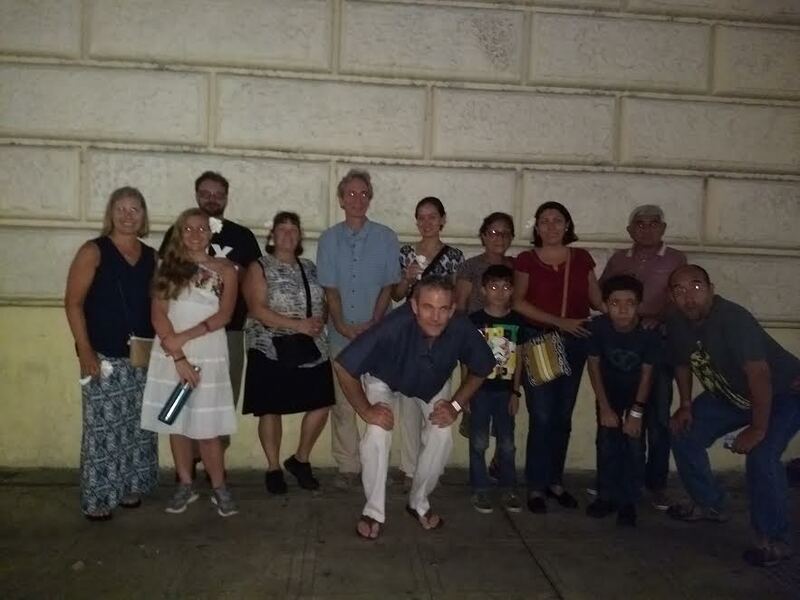 at 6 am (local time) and we met up in Atlanta for the flight to Merida. customs agent carefully checked my entire bag. slightly higher price quoted when I made the reservation. contingent along with our First Church members. some very influential people in the city. We ended the evening with a shopping trip to a 24-hour grocery store. would be various trips to Costco and Sam's Club.